Friendly Pix is a place where you can share photos, follow friends and comment on photos. Create your project on the Firebase Console. 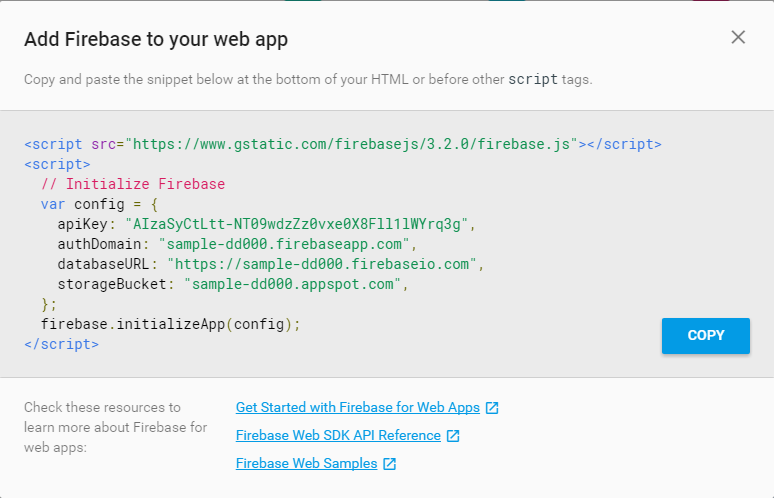 From your Firebase project console, click on red circle button with the caption "Add Firebase to your web app". Copy the initialization snippet into the index.html file by clicking the red HTML. The snippet should be placed in the <head> section of index.html. Enable Google auth in the Auth > SIGN IN METHOD tab. Run firebase serve using the Firebase CLI tool to launch a local server. Enable Google as a Sign in provider in Firebase Console > Authentication > Sign in Method tab. You need to have installed the Firebase CLI by running npm install.